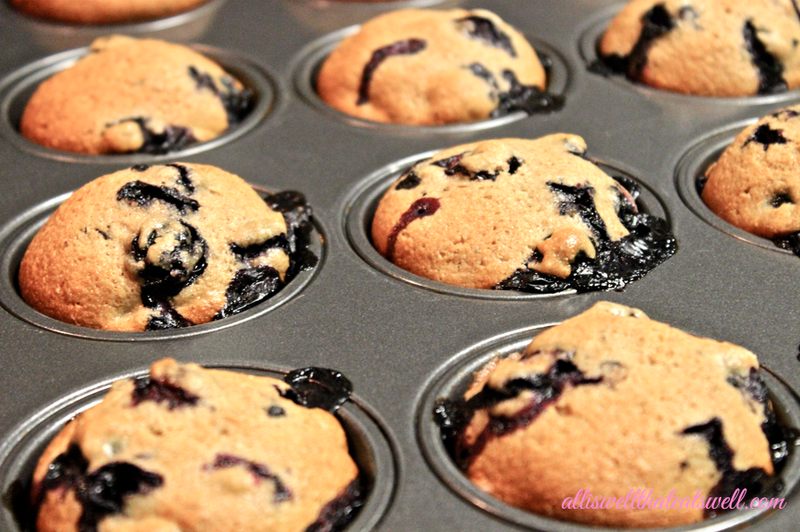 Experimenting in the kitchen late at night led me to this ridiculously delicious recipe for blueberry muffins. They are moist, packed with blueberries, simple to make and a much smarter alternative to the typical buttery one that will leave you feeling heavier and unhealthier. And I promise they're not only as delicious, but more so. Try them and you'll see! 2. After washing and peeling your apple, cut it into slices and place into a bowl with about 1/4 cup water. Microwave on high for ~2-3 minutes until apples are soft. Place into blender with 1/4 cup soymilk and puree. 2. 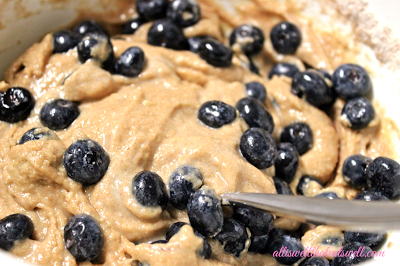 Combine all ingredients in a large bowl until batter is smooth. 3. Coated each muffin cup with with olive oil. completely (leave ~1 cm space at the top). 5. Bake for 40 minutes, remove and cool.